Showing results by author "David O. Hamel"
A true story of how a middle-aged married couple abandon lucrative white-collar professional careers to become long-haul truck drivers for Schneider National in Green Bay, Wisconsin. 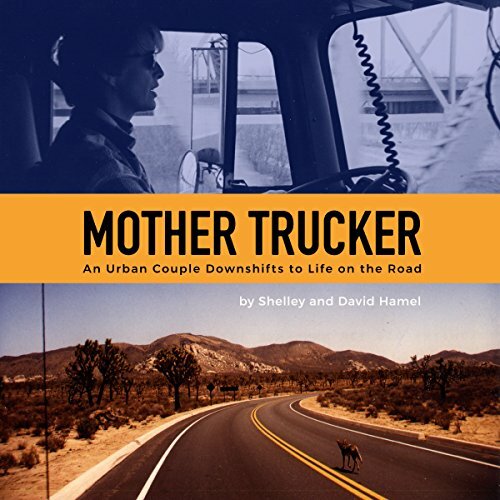 David Hamel, a mechanical engineer, and Shelley Hamel, past Director of Product Development for the American Girl doll company, decide to ditch their urban life and go to truck-driving school. For David, driving school was a piece of cake. For Shelley, it was murder. Nearly flunking out of truck driving school, Shelley successfully faces her twin demons of double-clutching and 10 nasty gears. Most entertaining - great reader!